LED light bars are known to be brighter and more powerful than traditional electrical filament lights, and are replacing lighting structures used in offices, on vehicles, and at construction sites. LED lights also consume less energy and have a longer life which will save you money. Unlike filament bulbs, led light illumination is not affected by the heat and energy consumption. Since LED’s consume less energy they are an environmental friendly choice compared to other options. To help narrow down the wide variety of LED bars, here is the guide to the best 6 inch LED light bars for your enjoyment. 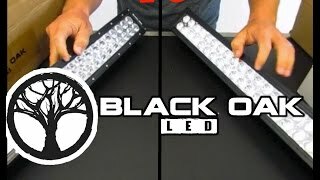 Black Oak’s 6 inch LED light bar is great due to the fact that it is small and can fit in just about any location yet still brilliantly bright. This model comes with a double row of lights that is terrific for using in working conditions, in the woods, on your ATV, boat, and more. 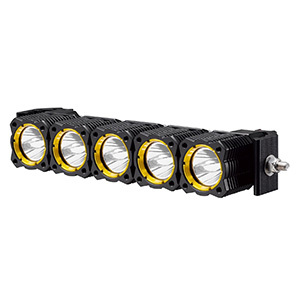 This 6 inch light bar features 3W or 5W Osram LEDs that can come with the choice of flood, spot, or combo optics. Black Oak’s model also comes with a complete wiring harness with fuse relay, and switch. It also includes the mounting brackets, and all hardware is ready to install. This 6 inch led lights up trails, work zones, cuts through fog and mist, and can illuminate wherever you take it. Black Oak is known to make led light bars that can stand the extreme conditions they are put into, and come with the highest IP ratings known. Numerous led bars can be used on equipment or work sites to help provide visibility. 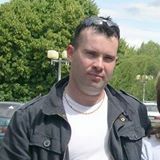 Front and back, side to side, or different locations on a site. This model has both quality and durability combined with an affordable price to bring you an exceptional product. Able to traverse any terrain and light the way, this light is certainly an excellent choice to consider. 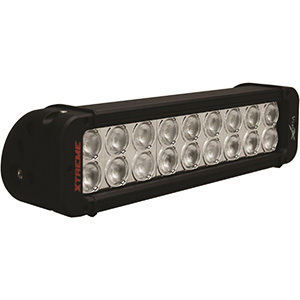 Rigid Industries introduced the first light bar, and has been setting new standards for bars since then. The E-Series bars have been used on trucks, cars, police cars, rescue vehicles, marine boating, work sites, etc. The E-Series 6 inch led bar specifically comes with two mounting brackets with hardware, wiring harness, plug, and switch. It has patented hybrid optics, a two-piece housing with mounting options, and new 304 stainless brackets with three positions. Peak Beam Intensity: 69, 000 cd. 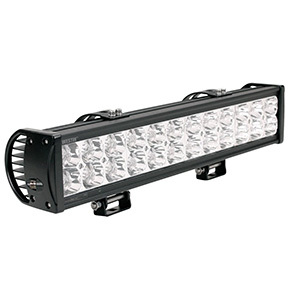 The E-Series light bar is designed to project light at extreme distance while consuming very little power. It features aluminum housing, polycarbonate lens that is sealed away from the elements, and has hybrid optics that utilize a combination of lens’ and reflector’s to maximize the light emitted where you want it. Hybrid Spot is perfect for concentrated areas in far distances. Flood increases your coverage area, but with half the distance. Combining these together give you the perfect lighting maximum. Rigid Industries has set the standard on what makes a great light bar, and is constantly redefining that standard. The E-Series 6 inch bar is a perfect example of finding perfection in a product. It is highly recommended and is affordable. The Bulldog 6 inch off road light bar is perfect for mounting on the handle bars of an ATV or into the bumpers of vehicles that have opening for larger lights. This model includes a wiring harness, choice of bottom mount or side bolt mount set, and a choice of beam. 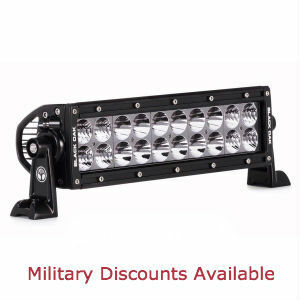 Bulldog offers a bar that has 6 inch round led lights. It is well equipped to withstand the temperatures of the light itself, but also the brutal desert environment and any off-roading locations. It comes in multiple beam patterns to give the consumer the best desired lighting, and is proven to withstand the constant beating it will receive while off-roading. 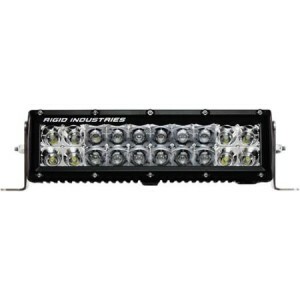 Bulldog LED Lighting is respected for its breakthrough in developing affordable LED light bars that equip off road vehicles with the best visibility. They specifically have created a product that is to be used for off-road vehicles compared to other purposes that light bars can be used for. If your desire is to increase visibility while enjoying a day off-roading, then the Bulldog light bar is the right choice for you. These three lights, made by trusted companies such as BlackOakLED, Rigid Industries and Bulldog Lighting are sure to be a great enhancement to any vehicle.